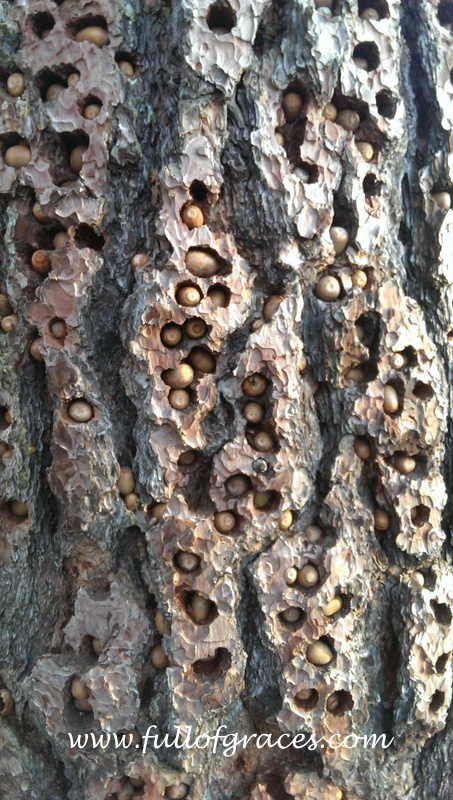 Last weekend, we saw this thing that the squirrels did and it kind of freaked me out. It’s like they’re getting ready for something. Maybe because this is the second drought year in a row in California. Maybe because they know that next year, Winter is Coming. But what if they did it because something wicked this way comes? And if you think spooky Shakespeare is too much, look at this. 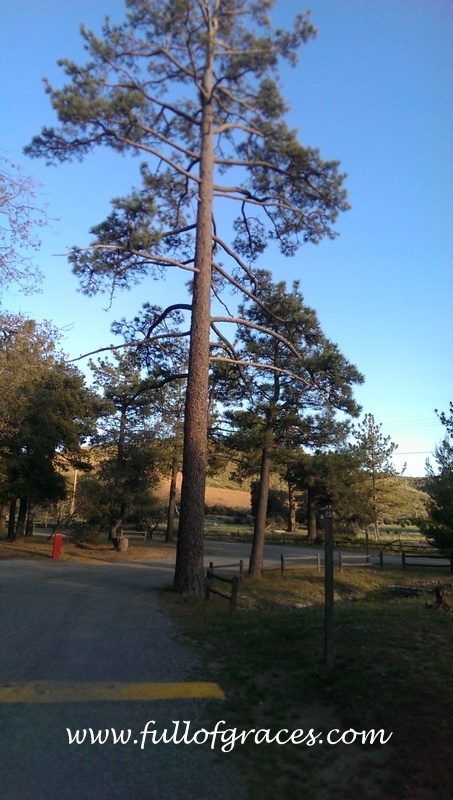 It’s a pine tree, right? Not even that big. Normal size for Southern California mountains. 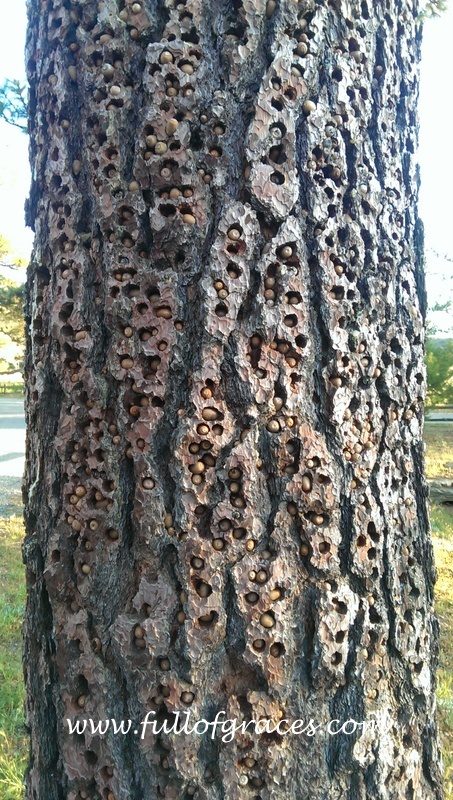 The woodpeckers made the holes. Then squirrels filled them up with acorns. Every. Single. Hole. From the bottom of the tree to the top. Here’s the stream of conscious that happened while I was looking at this tree: That’s a LOT of acorns. They could feed a LOT of squirrels. Heck, they could feed an entire family of people. They could feed MY family of people in an emergency. 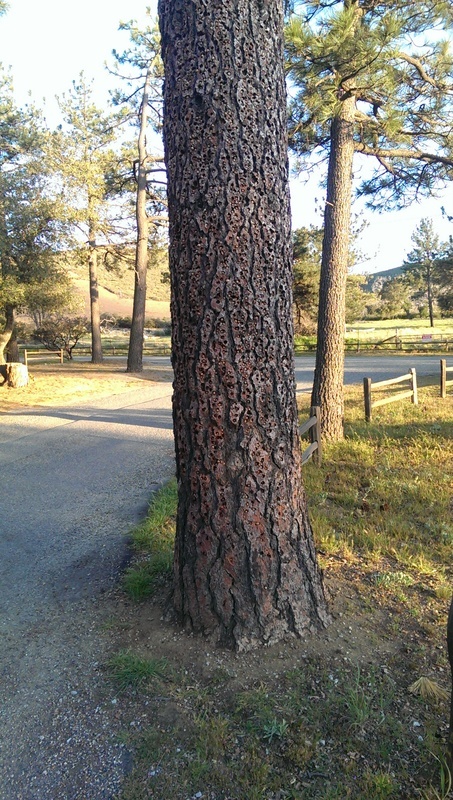 And every single pine tree in the dang park looks like this. In the Springtime, after the mildest winter So Cal has seen in decades. They know something. And whatever it is made them store ten years of squirrel food in a grove of trees in Southern California, which translates to roughly two years for a human family of five. So even though I’d love to tell you where I found these trees, I’m not going to, just in case. I’m sure you understand. I will consider myself warned. I will also start looking for trees with holes filled with acorns in my neck of the woods. Squirrels may be our last hope.